The Mindfulness Essentials series introduces beginners and reminds seasoned practitioners of the essentials of mindfulness practice. 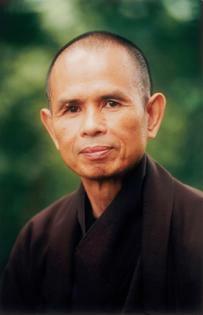 This time Nhat Hanh brings his signature clarity, compassion, and humor to the ways we act out in anger, frustration, despair, and delusion. In brief meditations accompanied by whimsical sumi-ink drawings, Thich Nhat Hanh instructs us exactly how to transform our craving and confusion. If we learn to take good care of our suffering, we can help others do the same. How to Fight is pocket-sized with two color original artwork by California artist Jason DeAntonis. is a Vietnamese Buddhist monk, teacher, author, poet and peace activist who now lives in southwest France where he was in exile for many years. Born , Thích Nh?t H?nh joined a Zen (Vietnamese: Thi?n) monastery at the age of 16, and studied Buddhism as a novitiate. Upon his ordination as a monk in 1949, he assumed the Dharma name Thích Nh?t H?nh. Thích is an honorary family name used by all Vietnamese monks and nuns, meaning that they are part of the Shakya (Shakyamuni Buddha) clan. He is often considered the most influential living figure in the lineage of Lm T? (Vietnamese Rinzai) Thi?n, and perhaps also in Zen Buddhism as a whole.